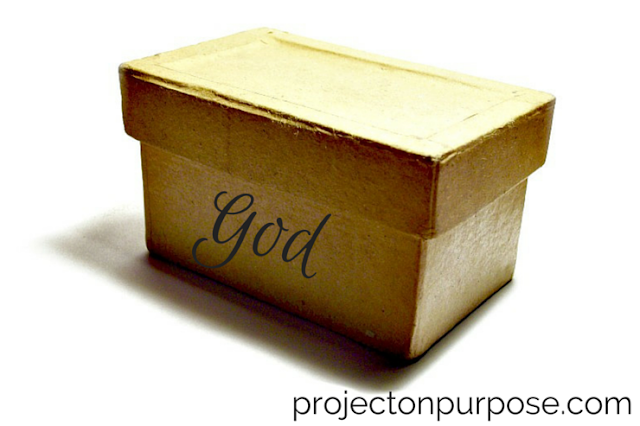 I am guilty of putting God into a box. My mind and comprehension limits what He is capable of. I know I am not the only one. So many of us (possibly all of us?) are guilty of this very thing. We can't fathom certain things. We don't want to set ourselves up for disappointment. We don't have big enough faith. So we put Him in a box in our limited understanding of who He is and what He can do (spoiler alert: anything). I want to stop. I want to trust more, obey more and believe more. Jesus rose from the dead, people. If that isn't the impossible becoming possible, then I really don't know what is.